A common marketing mistake is for brands to launch ahead with a marketing campaign and not fully understand the demographics of their supposed target market. You won’t be surprised to learn that selling to millennials requires a very different approach than to their predecessors. Going ahead with generic strategies in the next few years could lead to disaster. Millennials will make up 75% of the global workforce by 2025 so it’s imperative that companies learn quickly how to use the right strategy and approach. First, the brand needs to resonate with them in a way that makes them feel that you have a real interest in them to get their commitment to your brand or services. Secondly, integration is on a scale never seen before with previous consumer generations and they have a much more open mind to engagement and innovation. Starting with these points suffice it to say targeting millennials with social media is a prime strategy to use. 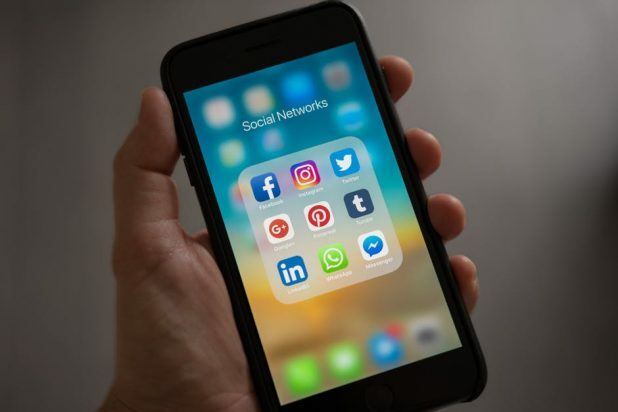 It seems relatively straightforward as we know all the main protagonists such as Facebook, Twitter, Instagram and so on, but it can be a difficult task, although not as tricky as some in the industry would have you believe. I want to give you an insight into the psychology behind millennial trends to help you apply them to your future upcoming social media strategies. Here we go. Millennials are known as a significant driving force in the expansion of the e-commerce industry because convenience is their number one priority. Even though many retail shops offer same day delivery, it’s still easier to click a few buttons from the comfort of home. So e-commerce is an excellent platform to take a percentage of the millennial customer base. Interactivity and versatility are two millennial traits, so be sure to tap into it through social media. A sure way of doing this is through the use of direct links to your online store, especially using published content through your blog. Look to include content promoting digital shopping as well. Don’t assume that everyone is a converted online shopper. Continue to showcase the advantages of online shopping and promote your brand at the same time. The millennial generation like no other is defined by how they adopt and adapt to constant new technologies. They were born at a time of a tech revolution so your outlook and philosophy needs to keep in line with this and you must follow suit and keep adopting and adapting to the latest spec in your social outreach. It’s fair to say a large percentage of us carry smartphones. So take advantage of this and tap into new strategies using the latest apps or look to hire an in-house app developer to draw consumers not just to your brand but a new app innovation at the same time. This is a tried and tested method of getting people talking. Sure, this won’t suit everyone, and there is still an older demographic out there to consider, but if millennials are your main focus they will embrace it for sure. Regardless of the platforms you use and publish your information on, you must convey a consistent message. Millennials have made that clear when it comes to receiving marketing messages and digesting information online. In simple terms what is on your Facebook Page should be the same as what is on your website and Instagram posts. Your commercial video outreach should not be any different to the marketing message in your email outreach. Make sure you have a core message you are looking to convey to attract your customer base and don’t sway from it. Start as you mean to continue. If you are struggling to refine it, there are plenty of writers out there that can inspire you and work alongside you. Unifying your message gains credibility with the younger generation. It’s the key to marketing in general. Regardless of what platform you are on, your message should sound and feel genuine and the same, eliminating any doubts and enabling people to look directly at your products and services. If your marketing strategy hinges on posting and hoping for the best, you could be in trouble. Engagement is paramount to any social media marketing plan if you want sales. Although this is new ground for many companies, it is proving to be more and more critical. There are new ways to do this. For example, live questions and answers which will enhance your brand when potential customers get direct answers to questions. It’s a big thing. Make sure to keep commenting on your public posts and even take the time (if you can) to respond with a private message. This builds trust in the process and provides a personal touch. From the customer’s perspective, you will be seen as communicative and willing to interact with your customer base, a trait that will make you stand-out. If you try to include this at some level, despite a hectic schedule, there is a considerable upside. Many businesses make the mistake of saturating their social media with way too much information and data in their attempts to build links and provide engaging content. Ultimately, this has the opposite effect. Any irrelevant material is proven to distract your audience, and once the engagement is lost, they are very quick to go back to surfing for alternatives. You might think that detailed and complex marketing content with vast amounts of data can help you win over new customers. Over saturation of content, however, is more likely to divert your audience to a different brand. Customers – especially millennials – want simplicity and directness without any sales pitches that might sound forced. Giving an overview as to what you are about, but not forcing it down their throat will leave you in a better position. The status quo opinion is that organic marketing rules atop the tree of online marketing, but I think there is room for both advertisements and paid for promotional content. If a business is too heavily reliant on just organic marketing, it can be somewhat misleading since its main purpose is to bring business through the door. As far as curation is concerned, paid content is direct and targeted so the customer gets the picture from the start and it is straight to the point target marketing. How far can your Budget Stretch? If it can stretch as far as hiring a marketing professional to create original content, then you should consider it. This is especially true for Facebook and Instagram because their demographic data is targeted explicitly towards Millennials to ensure they get what they want in their feeds. If you are not an expert on this kind of thing, hiring a marketing professional may be smart move. As millennials evolve, marketing strategies will have to follow suit, and although every generation is different from the last, there are some fundamentals of marketing that will remain. Something essential to consider is your initial marketing outreach. Before you dive into a full social media marketing campaign, why not test your idea on small groups of millennials. The most significant mistake businesses make is to ASSUME. Never do that. Acquire feedback from a small test first, tweak and re-adjust accordingly and then go for it. It could save you a lot of money and help protect your brand at the start of your growth cycle. Paula Timpson is an avid tech blogger covering varying aspects of the industry. She is associated with SEOcompanycanberra.com.au offering smart and fast digital marketing services in Canberra, Australia. Should Your Business Partner With Social Media Influencers?